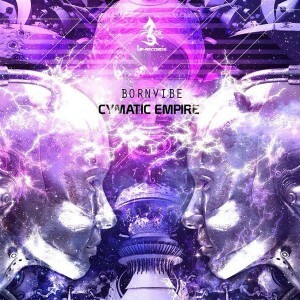 UP Records presents Cymatic Empire, a unique display of melodic morning-time psytrance brought forth by the talented Bornvibe AKA Zachary Woods of Brisbane, Australia. Cymatic Empire is a group of producers from throughout Australia collaborating to manifest, procreate, and share their original vision of psychedelic dance music for the enjoyment of all. Apart from Bornvibe the group includes Boy From Borneo AKA Joel De Ross and Valkyrie X AKA Luke Hickman. Mastered by Zachary Woods and Luke Hickman with graphics by Zachary Woods. MP3 Download | FLAC Download | WAV Download · Download count: 8,057. Same feelings as 15 years ago, especially with track 2. I know this doesn”t really mean anything, but I can’t find better words to describe the quality of the music, the hard work put in it by the musicans, and on top of that the pleasure it gave me. I usually don’t like full-on but this isn’t cheezy, its more morning and uplifting than full-on so thats cool. I really like it!!! This brings on the best memories of sunrises at hidden Byron parties. Unreal. Something about the groove in each track that keeps you coming back for more. lovely soulful melodies in these songs. great production too. really amazing release here. certainly the best of uplifiting and full on psy in one. Track 4… Awesome, psychédélic, awesome, AND F****** PSYCHEDELIC !